With all the high-tech, attention-grabbing equipment in the new, 2017 Ford GT supercar – things like a 647-horsepower twin-turbo V6, carbon-fiber monocoque, and hydraulically-actuated aero and suspension components – it’s easy to overlook the simple things, like the brakes. 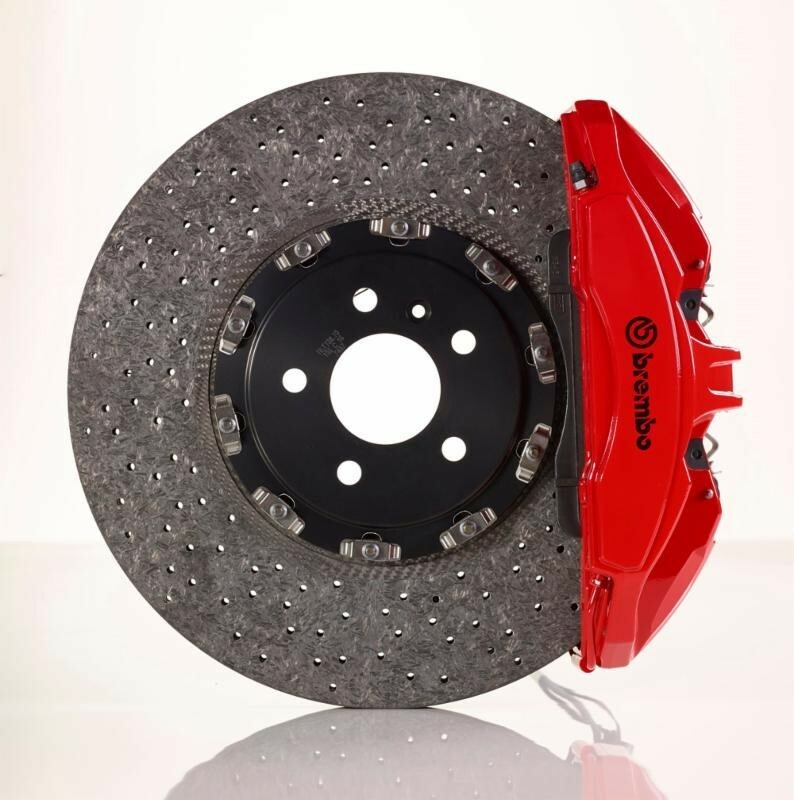 But here, too, Ford has deployed some of the best equipment available today, partnering with world-famous supplier Brembo to ensure that its latest high-performance halo car can stop as well as it goes. The 2017 Ford GT’s Brembo brake setup includes a full set of two-piece carbon ceramic rotors, which are 50 percent lighter than equivalent cast-iron pieces, and operate more effectively at high temperatures. Not even the 2016 Le Mans-winning Ford GT race car has those rotors. The calipers are of an aluminum monobloc design, with six pistons each on the front calipers and four in the rear, and five available colors: black, silver, blue, orange, and red. With brake cooling being so hugely important on a track-focused car, the front calipers have exposed lines, and affixed cooling ducts that articulate with the steering of the car so that fresh air is always passing over them. They also feature a “low fluid-displacement design” to provide superior pedal feel and firmness. Finally, there’s the parking brake, which is a Brembo-devised electro-mechanical system activated by a switch in the cabin rather than a hand lever. That switch tells the Ford GT’s ESC system to activate the small, standalone calipers on the rear axle, using embedded software developed by Brembo.